Me and my daughter Elin have been travelling with Pradeep for two weeks. He is a great guide and one of the most service minded persons I have ever met. From the first contact via e-mail until the end of our trip his only focus has been to make our trip something extraordinary. 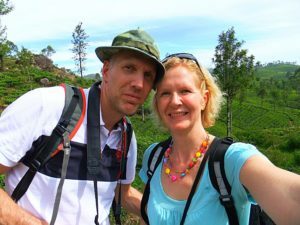 Not only has he answered our endless questions about life at Sri Lanka, the wildlife or history with great patience and humor, he also helped us with practical arrangements when we needed to change our plans due to the wheather. We truly feel that we had a great holiday in Sri Lanka but best of all, we got a new friend in Pradeep!